Rambouillet is a city south of Paris where many International Peace treaties and negotiations have taken place since before World War One. I can only imagine that Rollback beauties like these where used to take a break from time to time with a brandy and cigar. 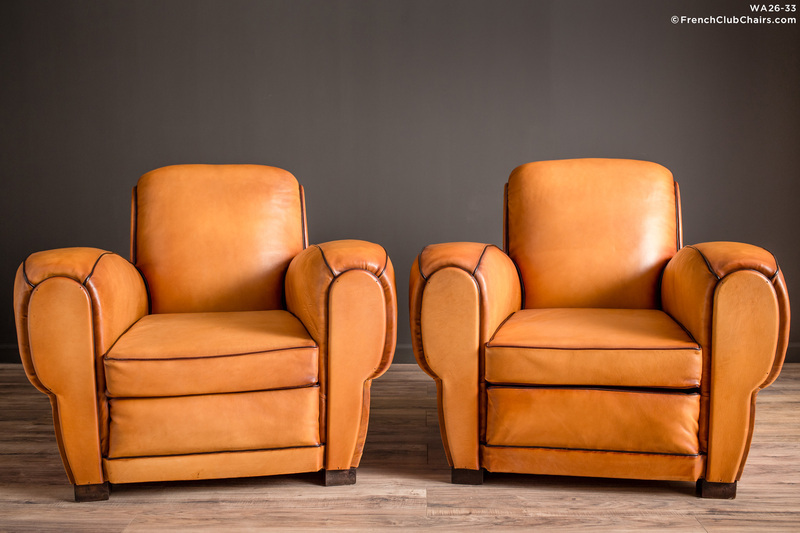 We fully restored this pair using our signature Pyrenees sheephide.They have an even med feeling seat, Circa 1940s originally , restored by us in France using our signature Pyrenees sheep hide. measurements: depth-39", width-38", height-33", seat depth-20.5", seat width-18.5", seat height-15"